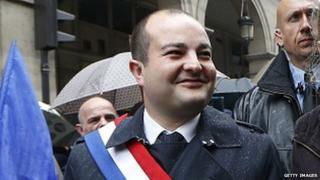 David Rachline, one of 11 Front National (FN) mayors elected in France last year, has decided to strong-arm a collective of 15 painters and designers known as Lastrada, who for more than 20 years have worked out of subsidised studios in the centre of the historic town. Enemies of the far-right see the move as evidence that after a year of acting cautiously in the municipalities under its control, the FN is reverting to its old book-burning instincts. Supporters say it is husbanding scarce resources and asking for a reasonable quid pro quo. The row erupted at the end of July when Rachline told a council meeting that he was going to adjust the artists' contracts with the town, to require them to spend 90 minutes a week taking in classes from local schools. Until now, members of Lastrada have had only to make certain unspecified contributions to Frejus's cultural life in order to justify their subsidies and Rachline said these were no longer sufficient. "The town finances a big part of these ladies' and gentlemen's rent. They need to give more back. So either we agree on this, or I am going to put an end to this situation where we pay the rent of all and sundry," he said. The background to the move is a rule brought in by the Socialist government in Paris, which by adjusting the school timetable requires town halls to fund new extra-curricular activities for children. This is deeply resented by many municipalities - not just of the far-right. Rachline is trying to mobilise Lastrada artists into giving workshops in order to offset the cost. No-one questions the fact that the Frejus artists do enjoy special treatment. Their rental is 2.5 euros monthly per square metre, compared to an average in the town centre of between 10 and 20 euros. The mairie (town hall) says this amounts to an annual subsidy of 80,000 euros. But Olivier Isselin, a photographer who acts as Lastrada's spokesman, told me that foisting this new demand on them was unacceptable. "It has been upsetting to see the way the story is reported in the French press," he said. "We are portrayed as loafers living off the taxpayer. I have had a number of disagreeable remarks. But we all work extremely hard. "What is forgotten is that we were brought into the old centre of Frejus under a deliberate initiative to revitalise the place. It was becoming depopulated, with all the shops driven out of business by the out-of-town malls." According to Isselin, the artists were never even told of the change before they read of it in the local press. "How am I supposed to look after a class of children? I have no training for it. I have no insurance to bring them into my studio. "I am all for volunteering and I'd be glad to do something for the town that was within my competence. But you can't make people be volunteers. This idea serves no-one - not the children, not the artists, not the town." Though he is careful not to get too political - "We are here for all the people of Frejus, and don't forget nearly half of them voted Front National" - Isselin is sure the artists have been targeted because of their perceived left-wing leanings. Rachline's response has been to publish a lengthy blog, accusing detractors of exaggerating his plan and expressing surprise that anyone could look at it askance. He says the overall bill to the local taxpayer for the Socialists' new out-of-school activities is 400,000 euros. "What seemed to me a legitimate trade-off has become for some people a state scandal! Since the municipal elections in March last year, the French press has been waiting to swoop on any hint of a far-right kulturkampf. But so far they have been disappointed, with FN mayors under strict instructions from Marine Le Pen not to court adverse publicity. So is this "earn your keep" campaign the first sign of a reversion to type? Rachline's critics note that last week also saw a concert in Frejus by the controversial band In Memoriam - who play nationalist punk. Police had to intervene after there was fighting in the crowd. In normal times in France, there is little mileage to be had in taking on the arts establishment. Culture enjoys a huge level of protection by comparison with other countries (the rent subsidies in Frejus are typical) and the mainstream parties all staunchly defend the status quo. But these are times of financial hardship, and Rachline has carefully calibrated his move. Asking artists for a "contribution to the community" will be seen by many as a cynical FN provocation. But others will be saying, why not?